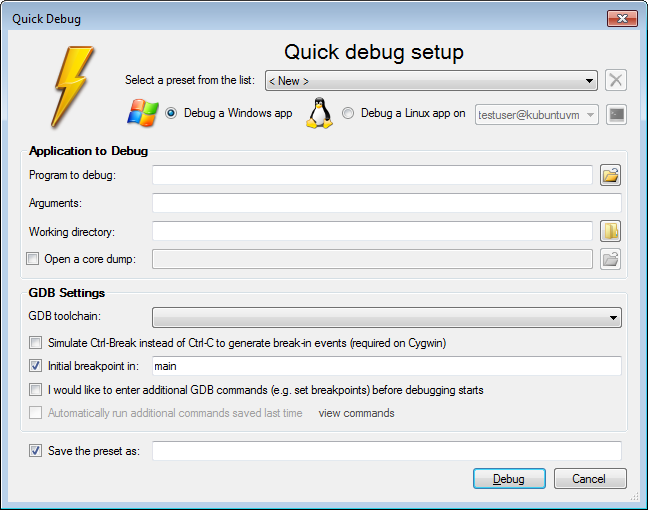 With Quick Debug you can debug any GCC-based application with just a few mouse clicks. 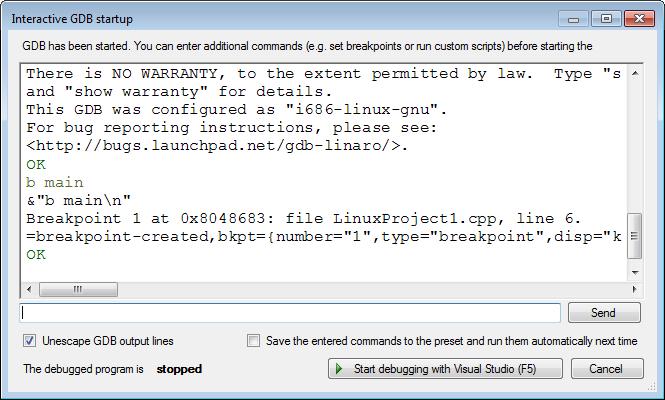 Simply specify your binary and the path to GDB and press Debug. VisualGDB will do the rest for you. And with just one mouse click you can save those commands so that VisualGDB will replay them next time you use the Quick Debug feature.